LE IMMAGINI DELLA FANTASIA: FOOD FOR EYES AND THE MIND The exhibition is an International event which aims to bring to the public eye illustration in its multitude of styles, whilst attempting to capture the unique creative quality of every author’s path within a worldwide context On 2015 the International Exhibition of Illustrations for Children Le immagini della fantasia shows hundreds of illustrators, authors, publishers and children’s books, in all the extraordinary variety to confirme the value of the picture book as an instrument of knowledge and vehicle beauty. The exhibition with its multiple sections provides a focus on thirty children’s books from the world, realized by 30 international artists , a special section dedicated to a guest of honor and a thematic section. The thematic section of the 33 edition of Le immagini della fantasia will be focused on tales about food, with the participation in this section of 80 artists from more than 30 countries around the world with their 150 original works for children. In calendar 70 scheduled events , like us: creative workshops, animated readings designed for schools and for children and their families during the weekend. The workshops, organized for children and young people, has the aim to experiment some illustrative techniques, focused on some tales about food, like us: the colors of the food , the tales and the food from the world. For this thematic section there is some multimedia corners, with short videos and information. Entrance: Euro 3,00 ticket; free children to school. 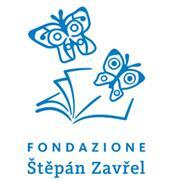 FONDAZIONE MOSTRA INTERNAZIONALE D'LLLUSTRAZIONE PER L'INFANZIA "S. ZAVREL"
The Foundation organizes the international exhibition of illustrations for children Le immagini della fantasia in Sàrmede, known as the fairy tales town. The numbers for each edition : 300 works , 150 illustrators worldwide, 30.000 visitors , 100 workshops, readings and animated educational tours , 30 illustration summer and autumn courses off the International School of Illustration (participation of 400 students a year from all over the world). Sàrmede, the fairy tales’ village is near Treviso (Veneto Region) and it has become famous for its international Exhibition of Illustration for Children Le immagini della fantasia. The idea of setting up the Exhibition was conceived in 1982 by Štěpán Zavřel, a renowned illustrator from Prague who later moved to Rugolo in Sàrmede. Since then, spurred on by ever-increasing success and the invaluable help of many artists, the Exhibition has shown over 300 works of art from countries all over the world to its numerous visitors each year, taking them on a fabulous journey through the fanciful imagination of each country. • The Exhibition, along with its official volume, is intended as a way to become acquainted with and continually improve on the work produced year after year in this field at International level; presenting the latest trends and the most original developments in contemporary illustration to an ever-growing public is one of its most important aims. • By virtue of a wide range of teaching activities, the Exhibition has always emphasised and promoted the cultural importance and educational value of the illustrated book. • The International School of Illustration lies at the heart of the Exhibition and brings out considerable creative energy: that of the artists who teach and pass on the most stimulating aspects of their own personal experiences to their pupils, and that of the pupils who bring to the School new ideas and an intense desire to learn to illustrate in an independent and original way. One of the project’s main aims is to convey the culture of beautiful illustration to a wider public, and for this reason the Exhibition is constantly on the move. Since 1991, it has travelled from Sàrmede to be presented in prestigious centres including: Florence , Genoa, Milan , Monza, Naples, Rome , Siena , Verona , Vicenza , Bratislava, Geneva , Edinburgh , Honfleur, Istanbul , Lisbon , Ljubljana, Madrid , Centre Pompidou, Paris , Salzburg , Sarasota, Florida (USA ), Seville , Stuttgart, Vienna.